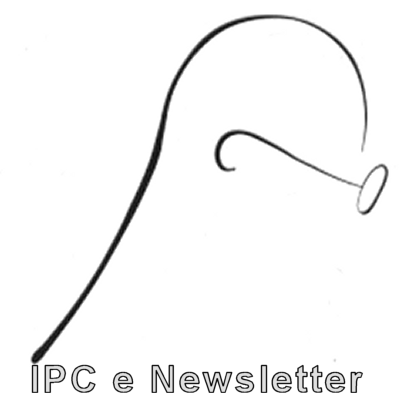 Welcome to the October edition of the IPC e-newsletter. The IPC e newsletter is distributed free to more than 4000 people around the world. Read all about the HAPA powder on this link. Rooms with high light reflectivity are thought to need less wattage to light and less artificial lighting time overall. Trials testing the effect of interior paints containing titanium dioxide on the energy required to light a room have reconfirmed the naturally occurring oxide’s ability to reduce energy consumption and counteract global warming. The technical paper was published by Cristal Global — a South West company producing titanium dioxide pigment for use in paints and other products. Rooms with high light reflectivity are thought to need less wattage and less artificial lighting time overall. I have around 5 yrs in Powder coating manufacturing and application with strong educational background in paint and coating field. I am Amol Vijayrao Gangarde, completed my Post –HSC Diploma in Surface Coating Technology from D.E.S. Technical Institute Pune. I have the capability of shouldering responsibility and privilege of working with people from various walks of life with different temperaments. development of the company and myself. An astute sales person with base in central India having experience in sales of surface coating equipment/ plants/ accessories for 10 years looking for a suitable career in similar/ allied field. The total experience of 16 years covers automobiles, pneumatics, shot blasting, surface coating, dust extractions. The excellent contacts all over India with proper planning & execution skills have made new heights in each industry. The paints industry has sought rationalisation in import duty for Titanium dioxide, one of the key raw materials to make paint. "Currently, it attracts an import duty of 10 per cent against 7.5 per cent for other raw materials used in paint manufacturing. We have requested the government to reduce this duty to 7.5 per cent," Abhijit Roy, MD & CEO Berger Paints, said on the sidelines of AGM of The Indian Paint Association. "With the depreciation of rupee, the impact got worse. If government rationalise the duty for Titanium dioxide, it will help in negating the impact of rupee depreciation on our margins," he said. IPA president R V Akula said the average increase in cost was 4.8 per cent, while price increase carried out by industry is just 3.8 per cent. India imports Rs 4,000 crore worth of Titanium dioxide mostly from Europe and China. Akula said industry has taken cautious approach in hiking price with slowdown in demand. Speaking about quality standards, Akula said the industry body has submitted recommendations on maximum limit of lead in paints to Bureau of Indian Standards. India has not been able to come out with regulations on use of lead in paints at a time when globally, many markets have totally banned the substance, he said. "We want BIS should come out with separate norms for both industrial and decorative segments," he added. The commissioning of Berger Paints’ biggest plant, at Hindupur in Andhra Pradesh, has been delayed due to the ongoing agitation over the formation of separate state of Telangana. Kansai Nerolac Paints, one of India's leading players in the paint industry announced tie-up with KidZania, an 'indoor' family edutainment theme park for kids. The partnership has resulted in an enjoyable activity for kids, wherein they can paint dummy houses using Nerolac paints. Berger Paints India Ltd expects to maintain a “double-digit growth” for the quarter ending September 30, riding on improved sales. The Kolkata-headquartered company posted nearly 11 per cent growth in net profit in the April-June 2013 quarter. Kolkata, Sept 19 (IBNS): The Indian Paint Association (IPA) on Thursday held its 50th Annual General Meeting here. MIC, Department of Environment and Public Works, West Bengal, Sudarsan Ghosh Dastidar said Haldia, which is a vital industrial hub in the state, was losing industrial potential due to the pollution embargo levied upon by the central government. The embargo was holding back fresh investment from flowing to Haldia. 2013 – A Year of Transition for the Global Economy? - $100 per metric ton (USD) for DuPont Ti-Pure titanium dioxide (TiO2) grades sold in the Asia Pacific and Latin America regions. -$100 per metric tonne (USD) for DuPont Ti-Pure titanium dioxide (TiO2) grades sold in the dollar markets or EUR 75 per metric tonne in Eurozone markets in Europe, Middle East and Africa region. They sparkle like thousands of stars in a cloudless sky: the new “XSpark® ̶ designed by BASF” basecoats. The BASF experts have developed this new automotive OEM coating. It contains very fine glass particles that reflect the light with greater precision, thus creating a pronounced sparkle. It glitters in an even more focused and intensive manner than any other currently known special-effect coating. Since mid-August, Hamburg’s port has hosted a new inland wind turbine whose rotor blades are nearly 60 meters long. BASF’s RELEST coatings make a crucial contribution to the longevity of the turbine. They ensure high surface quality and protect the glass-fiber reinforced plastic rotor blades from enormous stresses brought about by weathering, erosion and UV radiation, for example. The turbine manufactured by Nordex has a 141-meter high tower. The tower’s height, which is extraordinary for Hamburg, makes it especially productive. Color choice and interior decor are influenced by our lifestyle. Color is everywhere in our environment and it affects us both emotionally and mentally - creating mood and ambience as well as affecting our levels of energy. A successful color scheme is a scheme that is pleasant to live with and reflects the moods and personalities of the people living in it. Creating living areas that allow us to rest and relax are just as important as creating other places that invigorate or stimulate us. Bedrooms, living rooms and kitchens all serve different needs. Colors can be used to stimulate our senses for relaxing, entertaining and eating<more>. PPG Industries' protective and marine coatings (PMC) business announced that customers in Mexico can order AMERCOAT brand products directly from PPG. Tanker operator Eitzen Chemical is implementing Jotun's Hull Performance Solutions (HPS) system on two of its largest chemical carriers. 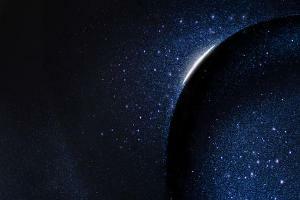 Jotun Group reports six per cent growth in sales so far in 2013. Jotun Saudi Arabia, the Kingdom's number one paint manufacturer, is taking to the road on a tour to instruct freelance painters how to use Jotashield in order to be sure they select the right paint for exterior surface. This column will return back in the next edition. Mr. Partha Sarathi Basu, Wholetime Director and CFO has resigned from the Board of Akzo Nobel India Ltd w.e.f. August 30, 2013 to take up as assignment with AKzoNobel NV.